With the economic development, the development of the beverage industry has grown rapidly, and the demand for beverage containers has also rapidly increased. Among the packing materials, aluminum stands out because of the advantages of safe, light and recyclable. The raw material of aluminum beverage containers is aluminum slugs. At present, many aluminum companies in China are developing the production of aluminum slugs for beverage containers. Many beverage company purchase aluminum slugs for punching beverage packing containers from China. In the aluminum alloys, 1070 aluminum alloy is an example of 1000 series aluminum, the 1070 aluminum slugs is mainly used for making beverage can and pull rings. Aluminum beverage cans have the advantages of light weight, heat resistance, good conductivity, odorless and non-toxic, good printing effect, recyclability, etc. Therefore, since the 1980s and 1990s, the amount of aluminum beverage cans has increased sharply, and aluminum cans have been used in the world beverage packaging market and has absolute superiority position. Especially in emerging economic powers such as Brazil, India and China, aluminum beverage cans still have huge space for development. 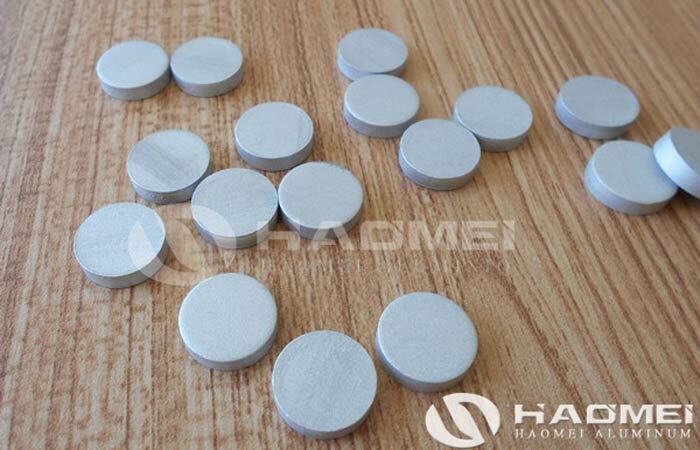 Haomei can supply customized aluminum slugs for beverage containers according to the demand from customers, different alloy, shape and temper are available, more information like payment, package, MOQ, delivery please contact us by email.